There’s no doubt that profit is a critical part of running a business, but it doesn’t explain why a company exists. What draws customers’ attention, wallet share, and trust are purpose-driven promises such as simplifying lives, fighting social injustice, embracing diversity, empowering people to do better, and prioritizing environmental and human safety. And how well brands are perceived to deliver on these demands determines whether they will grow and stay profitable for years to come. Representing various sizes, legacies, and industries, many brands are taking on the mantle of social contributor and engager by experimenting with intelligent technologies through the help of SAP Leonardo Services. But for Life & Mobility, this service proved to be the opportunity it needed to revive the transformational power of a conventional medical device – the wheelchair. As more people find themselves using wheelchairs, negotiating everyday tasks can be a difficult feat for a growing segment of the world’s population. However, Life & Mobility understood that the power of digital technology can help maximize the physical mobility, self-reliance, social engagement, and overall well-being of people with physical disabilities. The innovative manufacturer of wheelchairs and mobility scooters is pushing the boundaries for people with functional impairments by rethinking the experience of using a wheelchair. 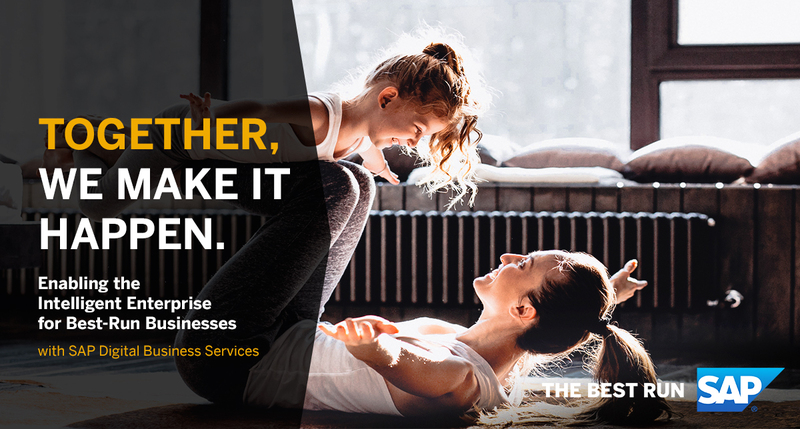 When researching the concept of embedding Internet of Things technologies in wheelchairs, Life & Mobility decided to collaborate with SAP Leonardo Services and healthcare organization Sensire. 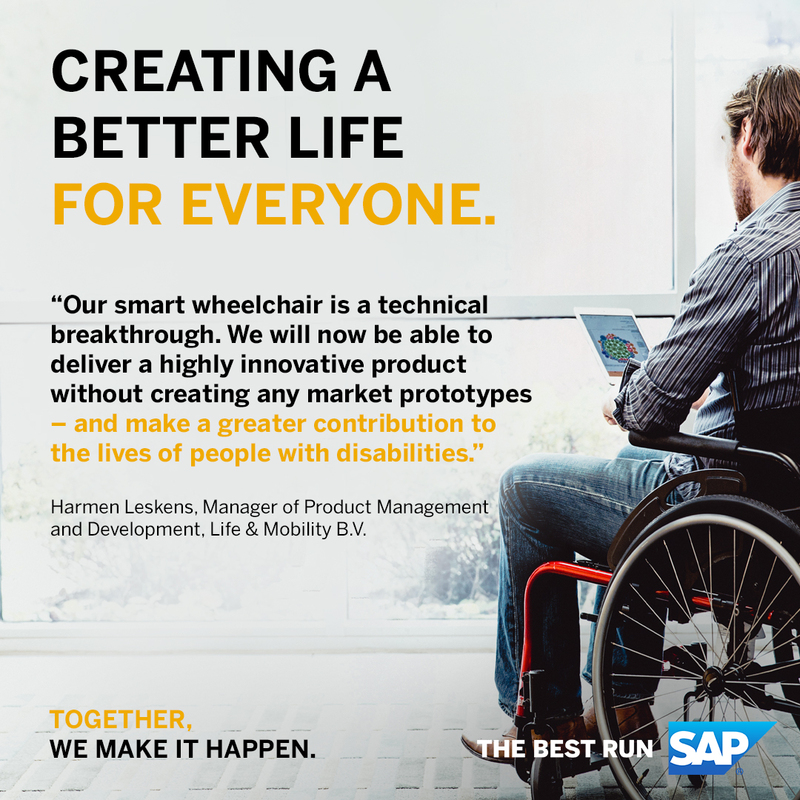 The team used Internet of Things capabilities and SAP Cloud Platform to develop a “smart wheelchair” equipped to correct poor sitting postures and prevent physical discomfort and fatigue. By using SAP Leonardo Services, Life & Mobility is improving the lives of millions of people. The company has a prototype with the potential to capture 400,000 data points to uncover greater insight into optimal sitting positions and reduce the adverse effects of long-term wheelchair use. All of these advantages are coming together to support a core mission of enabling greater freedom and a healthier future for every wheelchair user. Life & Mobility’s innovation of the smart wheelchair is an excellent example of how to tackle a socially relevant problem. By leveraging the combined power of intelligent technology and expert guidance, a growing number of companies are building their differentiating value by driving better business outcomes based on accurate, precise, real-time insights. And most importantly, every employee can play a significant role in improving people’s lives, communities, and our planet by focusing on higher-value outcomes that can accelerate much-needed social change as well as profits.